A spokesman for Sanitation Salvage said the Squitieri brothers’ stake in the transfer station was unconnected to their trash-hauling business. Metropolitan Transfer Station is a dump used by private trash companies and the city’s Department of Sanitation. The dump charges its customers what’s called a tipping fee to unload waste, which is eventually trucked from the South Bronx facility to out-of-state landfills. In recent years, Metropolitan Transfer Station has had annual revenues between $15 million and $19 million, according to state records. Salvador Arrona, the BIC’s director of policy, said the agency would not comment on Sanitation Salvage’s connection to the Bronx dump and its owners, saying its investigation of Sanitation Salvage was continuing. Officials with Metropolitan Transfer Station and attorneys for Isabella City Carting did not respond to requests for comment. 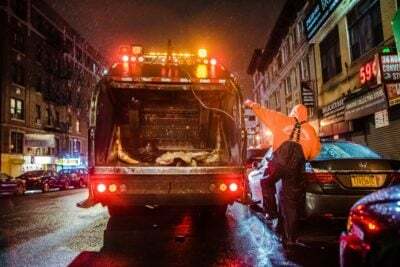 Widespread problems in the private sanitation business in New York City have been the focus of reporting by ProPublica for months, and that reporting has included questions regarding how aggressively the BIC has been in its oversight of the industry in recent years. This week, the New York City Council announced it was opening a formal investigation into the BIC’s performance, beginning with a request for documents from the agency as part of its initial inquiry. On Friday, Councilman Ritchie Torres, chairman of the council’s Committee on Oversight and Investigations, sent the BIC a 13-page list of questions about the agency’s staffing, budget and operations. “We know that BIC took an enforcement action [to suspend Sanitation Salvage] but there's no confidence that there would have been any action without public outcry,” Torres said. “I suspect there are systemic failures, but I want to be careful not to pre-judge an investigation,” Torres added. The BIC has a month to respond to the committee’s questions. “We approach each investigation with an open mind and will follow the facts where they lead and take appropriate action, without fear or favor,” the BIC said in May in a written response to questions from ProPublica regarding the agency’s handling of Sanitation Salvage. 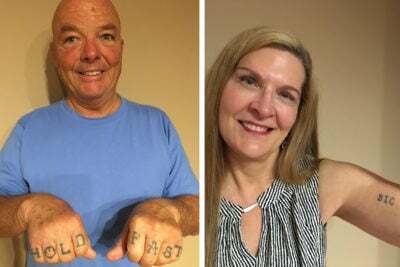 In the mid-1990s in New York City, a series of sweeping prosecutions set about cleaning up the private sanitation industry, purging it of the mobsters who’d controlled the lucrative business for four decades using violence, threats of violence and extortion. Under this system, each customer was considered the “property” of their carter. 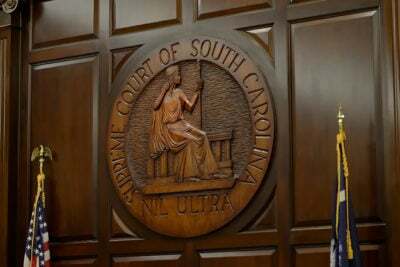 The targets of prosecutors were many: the organized crime members who had enforced a cartel; the trade associations that policed the cartel’s territorial lines; and the carting companies that profited from the arrangement. Before the takedown of the cartel, Isabella City Carting was a member of the Association of Trade Waste Removers of Greater New York. Constantino Isabella, the family patriarch, sat on the board of the association from 1989 to 1993. In 1997, the trade waste association was convicted of enterprise corruption. The Trade Waste Commission subsequently found that Isabella City Carting had “played a central role in enforcing the criminal cartel’s property rights system,” according to BIC documents involving its 2013 revocation of the company’s license. Constantino Isabella eventually agreed in 1998 to a lifetime ban from the carting industry — called a debarment. He then transferred Isabella City Carting to his son John and wife, Rosemarie Isabella, pledging that he’d have no involvement in the company. But in 2013, the BIC found that Constantino Isabella, then 84, was still making weekly rounds to collect payments from customers, and the commission revoked the company’s license entirely. Isabella City Carting had argued that Constantino wasn’t being paid as a bill collector and that his continued role in the company was insignificant. Noting the recent history of the industry, the commission rejected that argument. “It was the people doing the collections during the days of the illegal cartel who were a linchpin of the efficacy of the property rights system, as their visits to individual businesses were used as intimidation in order to enforce unfair contracts and stifle competition,” the BIC wrote. BIC licensees are barred from doing business of any kind with either debarred individuals or principals of denied or revoked companies. Yet, four and a half years after Isabella City Carting’s license was revoked, the Squitieri brothers of Sanitation Salvage — along with several other owners of BIC-licensed companies — co-own Metropolitan Transfer Station with Rosemarie Isabella. ProPublica has previously raised questions about the involvement of barred individuals in New York City’s garbage industry. On Aug. 1, a wheel flew off a Century Waste garbage truck on the Gowanus Expressway in Brooklyn, killing a civilian employee of the New York Police Department who was driving to work. Century Waste had a long track record of failed safety inspections. What’s more, a ProPublica review of property and corporate records showed that the company’s headquarters sit on land owned through an LLC by a man who was barred from New York City’s garbage industry in 1998. But it seems Century Waste is not an outlier when it comes to debarred individuals with ties to property. Although it is not clear that this would constitute a violation, records show that the mortgagee for the land beneath Metropolitan Transfer Station is a man who was barred from the industry two decades ago. The BIC renews licenses every two years after a background investigation process that the agency touts as thorough. Sanitation Salvage’s license was renewed in December 2017. On Monday, Sanitation Salvage filed a lawsuit in Manhattan Supreme Court seeking a temporary restraining order on the BIC’s suspension of the company’s license, but the request was declined. 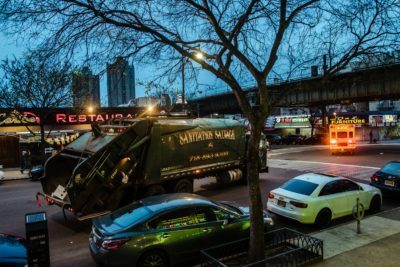 Bronx politicians Jeff Klein, Mark Gjonaj, Nathalia Fernandez and Michael Benedetto submitted a letter of support for the temporary restraining order and a reinstatement of Sanitation Salvage’s license. “Sanitation Salvage has been an exemplary example of a good corporate citizen,” they wrote. According to a ProPublica review of state campaign finance records, since 2007, the Squitieri family, along with their companies and a web of realty corporations and LLCs, has given over $120,000 to Klein. Gjonaj has received more than $40,000 from the Squitieris as well.